Ever wanted to just relax, pursue your hobbies, and do the things you love without having to worry about cooking, cleaning, and running errands? 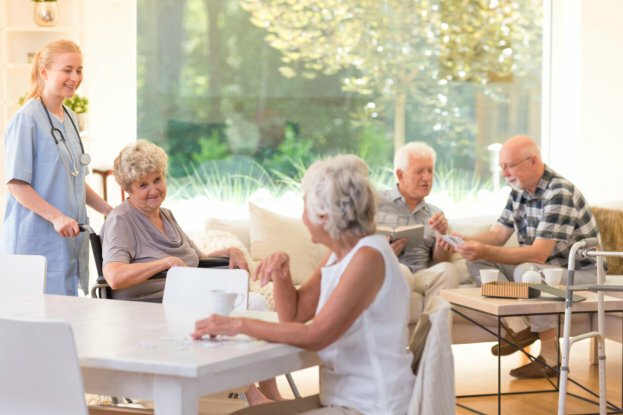 Moving into an elderly care home in Fresno, California will allow you to do exactly that. Nursing homes are wonderful communities that provide you with the opportunity to live life to the fullest. If you are on the fence about moving into one of these homes or if you want to learn more about your options, you have come to read the right blog. One of the first things you may notice when you move into a residential care facility is the luxurious amenities. You will be able to enjoy a wide range of things such as comfortable living quarters, personalized care services, and many other supplementary amenities like internet access and entertainment options. This can help make life a bit more exciting and less monotonous. You can be left to your own devices if you choose but we do offer superb personal services. These services can help you with many aspects of your day to day life. We can help you do your laundry and clean your living accommodations. We can also provide delicious and nutritious meals, assist with dental and medical care, and more – these things are only the tip of the iceberg. Through these services, we can help improve your quality of life as a whole. Since we are handling many of your day to day needs in the background, such as housekeeping, laundry, and cooking, you will have more time and energy. You can use this extra time towards hobbies, exercising, or simply relaxing. It is up to you and that is the beauty of our services. It can be difficult to make the decision to move into an assisted living facility because no one wants to leave their own home. But our services can improve your quality of life, your health, and ensure you are living life to the fullest. Start living the lifestyle you have always wanted and start doing the things you have dreamed of. Attentive Senior Care is only a phone call away. And if you know someone who could benefit from our services, please share this blog.